As we say good-bye to summer and welcome in the crisp air that is autumn, one can only cringe at the sudden coolness that has come upon us. A measure of that cool, crisp air is the frost that may have surprised some of you on your early morning commutes to work; that sometimes pain-in-the-neck-car-scraping-yet-oh-so-unique-looking design that forms upon your windshield. It starts when saturated (moist) air comes into contact with a surface that has cooled to below the freezing temperature of water (32°F/0°C) and below the dew point temperature of the surrounding air. This saturated air then solidifies and forms what we know as 'frost.' This is comparable to the dew we see on the grass during early morning springtime. 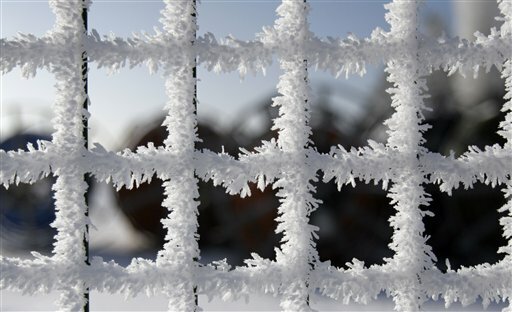 The most common type, this is formed when a window has cooled to below freezing and the saturated air inside your house comes into contact with the window. 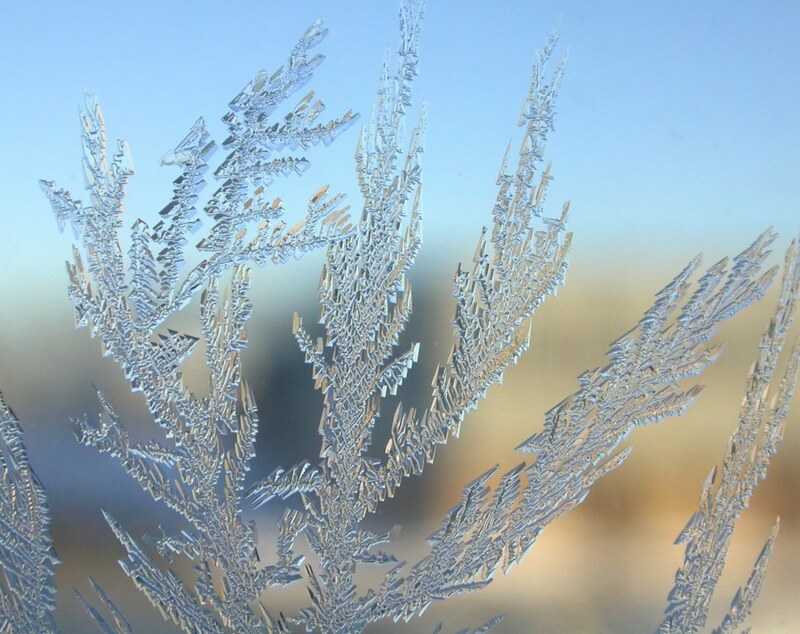 There are many factors that can create the different designs of the window frost, such as cleaning residue, dirt, etc, but more often than not, you'll end up seeing the same "type" of pattern forming. This is frost that has larger granular crystals than window frost and is typically found when more water vapor is present. 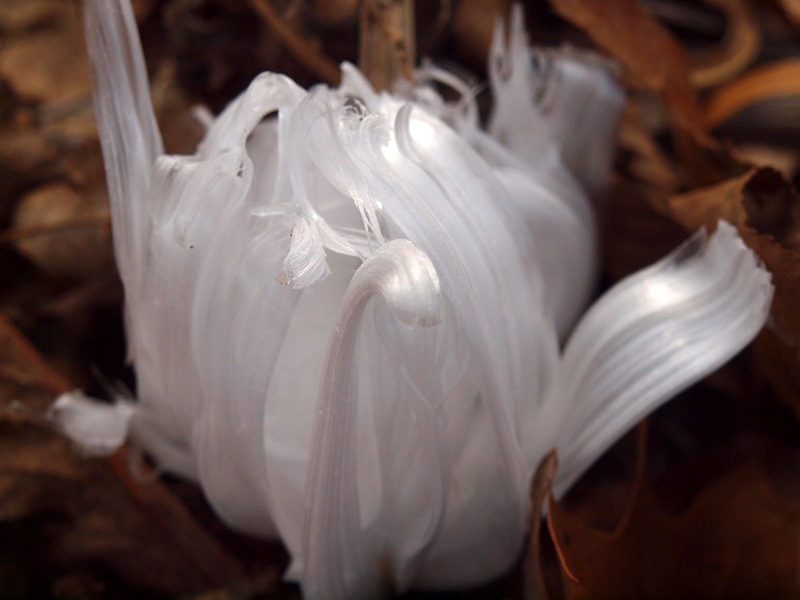 The best place to find these are on exposed foliage near lakes that have yet to freeze over. A subcategory to Hoar Frost is known as Surface Hoar. This particular type of frost generally forms in the overnight hours (during the radiation cooling process of the Earth) on top of a snow. During the day, snow warms due to the sunshine and then cools during the night. At this point, the top of the snow cools faster and more so than what's underneath, so the water vapor from the inside recrystallizes and forms frost on the surface. Another more common strain, this type often has more of a "spike-y" look to it and generally forms on things like tree branches or fences. 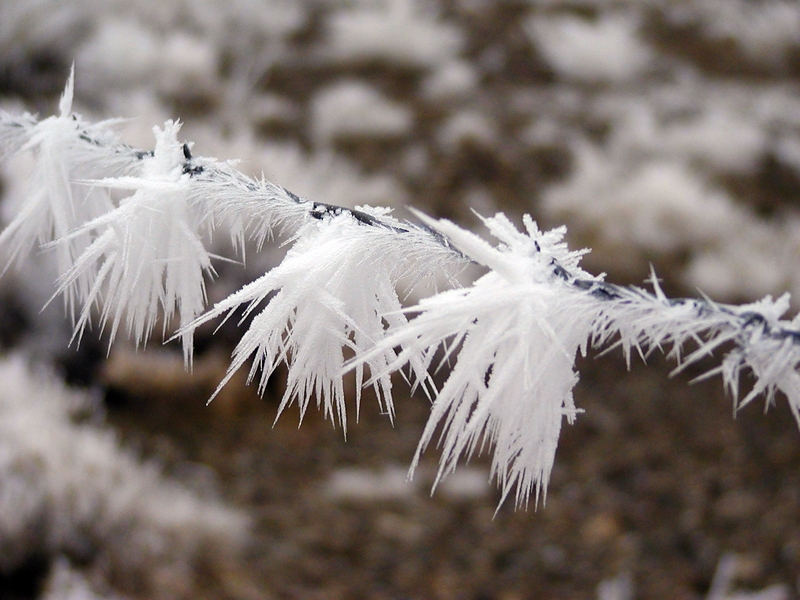 When super-cooled fog develops near the surface, the saturated air that comes into contacted with the snow crystals freeze instantly and develop this rime-like (spike-y) look. A rare, yet beautiful type, these generally form on objects that still have water in them (logs, flower stems, etc) and have not cooled entirely yet. This has a very cotton candy kind of look to it. So, as summer comes to an end and autumn begins, take the time to appreciate what we have and find the silver lining before temperatures fall and the frost turns to snow.